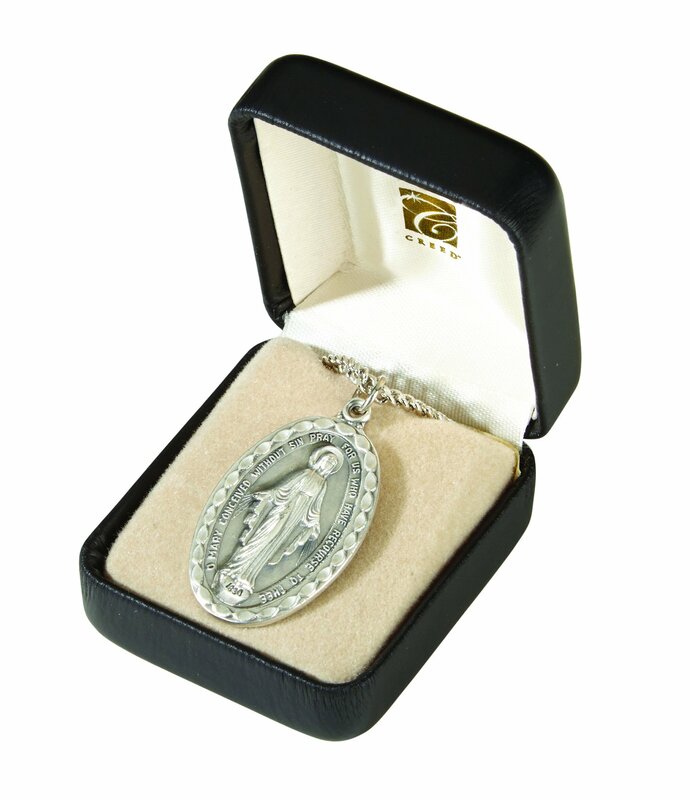 One of the most popular types of religious medals is commonly known as the Four-Way Medal (4-Way Medal). This one medal combines the bulk of four or five medals into one convenient piece. Individually the medals would be heavy to wear and costly to buy, but together they form a simply beautiful pendant. 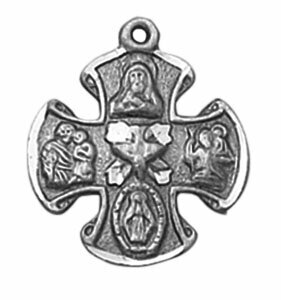 Arranged in the shape of a cross, the Four-Way medal can vary in appearance, however the most popular form includes a Sacred Heart of Jesus medal, St. Christopher medal, St. Joseph medal and the Miraculous Medal. Some Four-Way medals that are designed for First Communion or Confirmation gifts may have a chalice or dove at the center of the cross. The reverse side of the medal will often contain the inscription "I am a Catholic, please call a priest." This traditional message is included in case of emergency so first responders will know to call a priest to administer the Sacraments.